One of the biggest and more common lawn care issues is overwatering the lawn. It is safe to say there is a large portion of homeowners who have no control over their sprinkler system or how to use it effectively. The sprinkler runtimes are likely set by their irrigation service upon start-up and never adjusted or monitored, a "set it and forget it" approach. Often, sprinklers can be seen on before, during, and after rainstorms. Over-watering is bad for the lawn and will make it susceptible to outside pressures like drought, insects, weeds, and diseases besides the obvious waste of water. 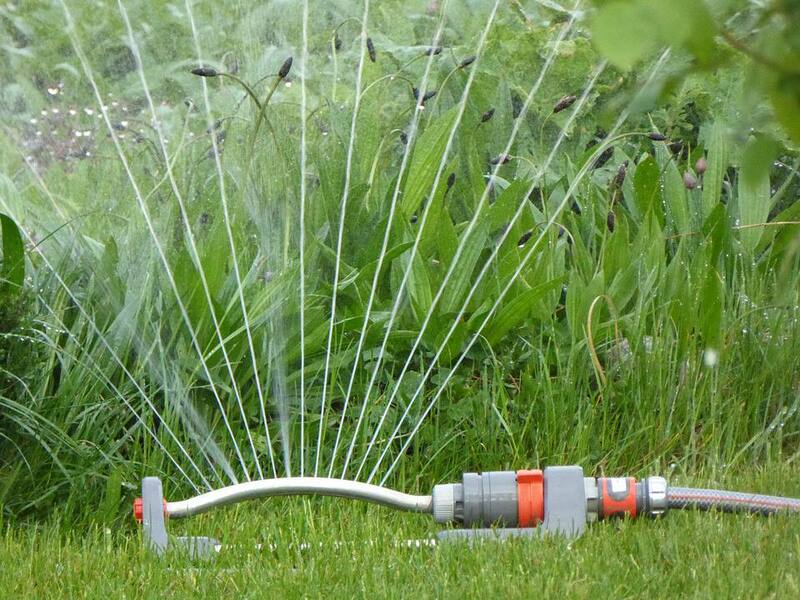 Proper watering is knowing how to use your sprinkler system efficiently. When used properly, your sprinkler system will save you money while keeping your lawn beautiful and healthy. Most lawn sprinkler systems are not that complicated and should be fairly easy to figure out. From there, it is important that your system is equipped with rain sensors to turn the system off in the event of a rainstorm during scheduled watering, Knowing how to pause your system from its normal routine is important when rain is imminent and after periods of rain when the soil has enough moisture. Fine tuning the system and knowing how it operates will benefit the lawn and save money. The rule of thumb for watering turf has generally been one inch of water per week. This number more or less refers to the standard Kentucky bluegrass lawn which is the quintessential lawn of the American suburb. Unfortunately, that grass type and its water requirements are not suitable, desirable, or even legal in many parts of the country. One inch of water per week is a decent average for the spring and fall months, but it's the hot, dry months of summer when one inch of rain per week is only achievable with supplemental watering either with an automatic sprinkler system or a hose/sprinkler set-up. A healthy lawn should be a little on the thirsty side, always sending roots deeper into the soil. The deeper the root system, the healthier and more resilient the turf. This is why an ideal watering is deep and infrequent (mimicking natural rainfall) rather than shallow and often. An overwatered lawn will likely have a shallow root system since there is no need for the roots to travel for water - it is always there, close to the surface. A shallow root system is more susceptible to insect damage and even heat stress since there is less water holding capacity within the root system. An automatic sprinkler system would best be used sparingly by a homeowner, only to supplement rainfall during the hot months of summer. It should not be operated before anticipated rainstorms, during rainstorms, or after rainstorms. This is a waste of water (money), time, and will contribute to an unhealthy lawn. Sprinklers operate most efficiently when used at night. The ideal time to water is in the pre-dawn hours when there is less wind, it's cooler, the water has a chance to penetrate to the root zone, and the moisture doesn't sit on the plant for too long and create disease conditions. During times of drought, stresses on the lawn can be lessened by mowing less frequently, mowing at a higher height of cut, and staying off the lawn. The key to riding out periods of drought is proper cultural practices and sticking to a good lawn care program.